Fancy tackling the hard yards along with the easy life? Try a “rugged luxury” cycle cruise down the Danube. This couldn’t be right. Damp from the rain, disoriented and jet- lagged from the previous day’s transatlantic flight, I consulted the GPS device clamped to my handlebars. 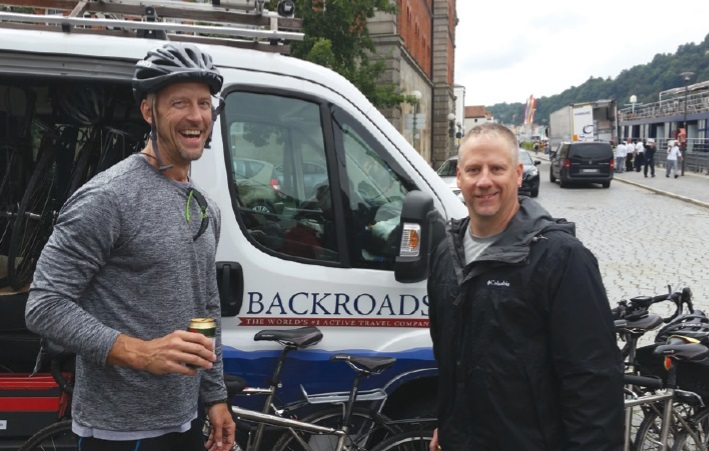 We were in Vilshofen, Germany – and barely a kilometre into my first European biking adventure, I had taken a wrong turn. I’d been looking forward to this trip for months: lush countryside, rolling hills, stops for lunch at palaces and castles. I’d been looking forward to this trip for months: lush countryside, rolling hills, stops for lunch at palaces and castles. 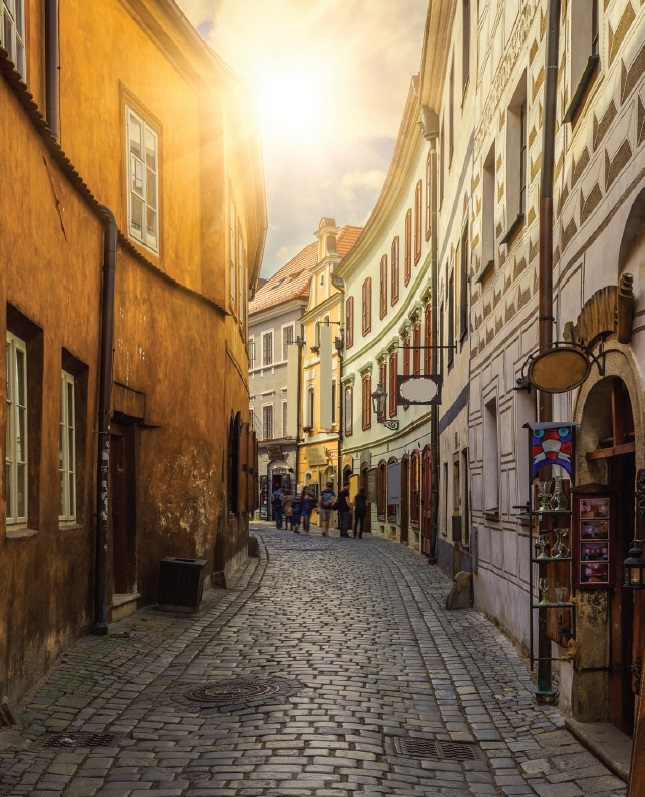 In my mind’s eye I’d sped along the country roads of Germany, Austria, Slovakia and Hungary, slaking my thirst at the end of each day with delicious Pilseners, dark ales and golden lagers. Navigational errors didn’t come into it. Fortunately, I wasn’t the only one to make an accidental diversion, and once we realised our mistake, we renegades quickly rejoined our party of two dozen bikers. My childhood friend Matt had agreed to join me on this week-long cycling cruise. We used to bike a lot together as teenagers, but it had been decades since we had pedalled side by side. 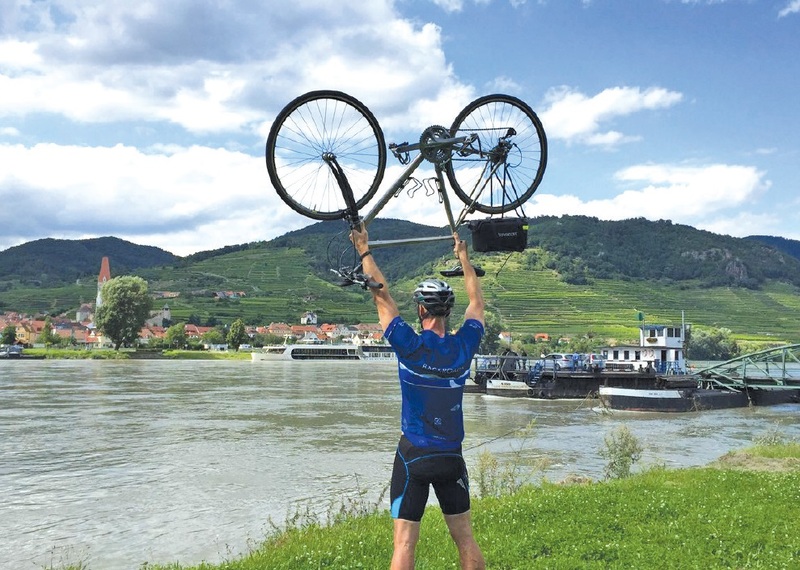 And what a way to get back out there, with AmaWaterways aboard their river ship AmaSonata, on a biking venture operated by Backroads. Offering a new kind of experience for river cruisers – a way to explore deeper into the countryside and see riverside villages, cities and towns in a new light while pushing yourself just a little – this is no “sit back, relax and indulge” river itinerary. It’s more of a “hop on, pump your legs for 30 miles… and then relax and indulge” type of cruise. Then, at the end of the day, you can look forward to the best night’s sleep you’ve ever had, before you get up the next morning in a new town and do it all over again. This is what they call a “rugged luxury” holiday – and for Matt and me it proved just perfect. Backroads, which also operates all manner of land-based trips, has been around for years and definitely knows its stuff when it comes to adventure travel. In 2015 the company found a willing partner to help it add more active options to river cruising, and AmaWaterways now offers 58 annual sailings on which Backroads reserves space for 30 riders (there’s one full-ship, 150-biker charter, too). But back to Vilshofen, the “Three Rivers Town” where the Vils and Wolfach flow into the mighty Danube. It hadn’t occurred to me that there might be a fourth river, caused by incessant rain on the tarmac beneath our wheels, but there it was. The scenery may well have been lush and spectacular – we couldn’t see it for drizzle – but as long as I kept my legs working, I was warm enough, and the mist began to lift as we pedalled deeper into the Bavarian countryside. Once it revealed itself, the scenery did not disappoint. These German fields and homes were all so perfectly manicured, and the roads were immaculate, with not a scrap of litter in sight – a refreshing change from back home in the States. A stop at Neuburg Castle for lunch provided a welcome break after a couple of steep hills, and then the clouds lifted altogether as we polished off our 28 miles, arriving to meet the ship at Passau, where the Danube crosses the German border into Austria. 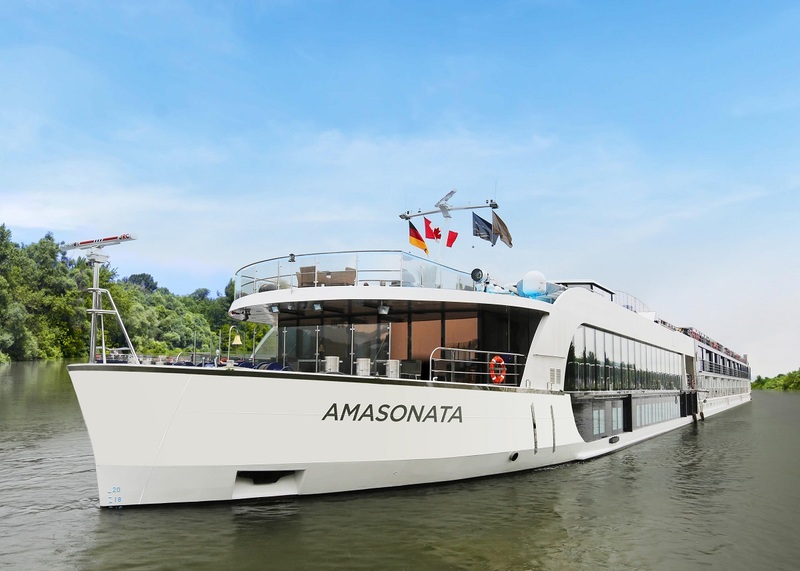 AmaSonata set sail in late evening, and the next morning we awoke in Linz. We may have changed countries but sadly we’d brought the rain with us, and I peeled back the window shades to reveal leaden skies. Like most other riders on the trip I took the hint, passing on the pedalling and opting instead for extra sleep to knock off the last bit of jet lag. A rest day also gave me an opportunity to explore the ship, and to sample AmaWaterways’ excursion to the charming Czech town of Cesky Krumlov, a UNESCO World Heritage site overlooked by a ﬁne castle. With chances to ride every day during the sailing, it’s not unusual for Backroads guests to take one or two days off, depending how keen (or saddle-sore) they’re feeling. Our itinerary included options to ride anything between 12 and 46 miles in a day, on routes varying from gentle to intense (such as the “Hills Are Alive” quad-crusher in Austria). Sign up for everything, in your own personal iron-man challenge, and you could end up pedalling some 230 miles during the week. Taking it slightly easier than that, Matt and I biked and cruised our way from Vilshofen to Budapest during our amazing week, and my stamina held up fairly well. I was thankful that I’d made the effort to get reacquainted with my old bike and do a few sessions of pre-holiday training at home, but you don’t have to be super-fit to love this holiday. Backroads offers electronic-assist bikes for those who need an extra surge of power getting up hills, or who just want a bit of help to manage the longer distances on the itinerary. The company says its customers typically range in age from 30 to 70, and our group fitted that profile exactly, apart from a family of five that included three teens. I think we’d all agree that we were well looked after. Each morning we’d receive a sheet in our staterooms, outlining the details of the next location and the various route options. After an excellent AmaSonata breakfast, we’d then gather for a route talk from our tour leaders, Kevin and Karlijn, so we’d all know what to expect. Some days, we were offered a morning ride, returning for lunch on the boat. Other, longer, routes would include lunch at a historic destination: we enjoyed mid-ride meals at Hoftaferne Neuburg in Passau; Austrian cuisine at historic eaterie Zur Post in the shadow of Melk Abbey; and a buffet at the sprawling Schloss Hof, the largest palace in rural Austria. Making a trip like this, you spend much more time ashore than on the average river cruise. For example, instead of sailing through the famously picturesque Wachau Valley between Melk and Durnstein, we biked. Backroads also arranges a group dinner so that everyone gets to enjoy the Chef’s Table gourmet tasting menu. This, enjoyed in the panoramic dining venue at the back of the ship, seemed to be a highlight for everyone on board. And it was how we cyclists chose to mark the end of our expedition, gathering to share laughter, fine food and tales of our adventures along the way. There were plenty of those. Usually, the sight of your cruise ship casting off while you are still on dry land is terror inducing. But on a Backroads cruise with AmaWaterways, that’s all part of the plan. Several times we watched AmaSonata glide off down the Danube as we began our rides, safe in the knowledge that we’d soon be reunited at a new port downriver. 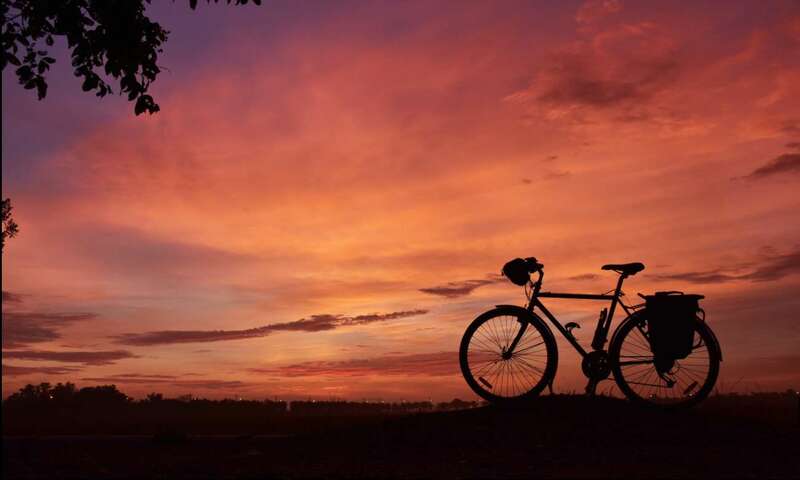 Our routes over the week traversed well-maintained bike paths, busy roadways and unpaved trails through remote countryside. We pedalled past glorious fields of sunflowers, apple and pear orchards, and riverside produce stands (sometimes just a basket and an honesty box) selling the famously sweet Wachau Valley apricots. Perhaps our greatest two-wheeled feat was the port-to-port, capital-to-capital journey from Vienna to Bratislava, Slovakia, stopping for lunch at Schloss Hof to tour the palace. We were well supported all the way, on this trip and all the others, with Backroads vans toting the necessary equipment in case of breakdowns – and ready to give a ride to anyone who needed it. Staff are also fully trained to handle any emergencies that might arise. 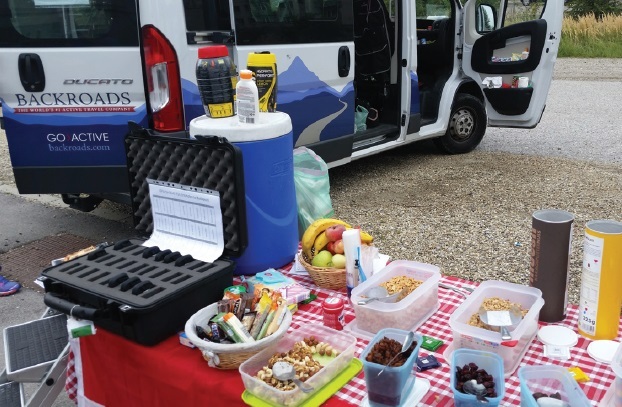 The support team of Lee and Martina did a fine job of keeping us properly fed and refreshed, laying out snacks that we could grab for a boost in the saddle, plus a wide variety of fresh fruit, nuts, sweets and flavoured energy-drink mixes to stir into our water bottles. Every two hours or so, we would spot the Backroads vehicles in the distance, and we’d know this was a scheduled check-in area, a chance to have a break and raid the chiller, which was always well stocked with juices, soft drinks and even beers (well, this was a holiday, not the Tour de France). Speaking of my favourite beverage, in the Wachau Valley we were treated to a stop at a beer garden, while on another occasion we enjoyed a riverbank picnic of Austrian pastries. The cycling was rarely hard work, and hills were all the easier for knowing we would retire each evening to the comfort of our ship (so much nicer than moving hotels, or worse still searching for them, as you do on a land-based biking journey). As well as our spacious rooms, we had access to AmaSonata’s heated pool and spa, where I was glad to receive a midweek massage to soothe and refresh my weary legs for the rest of the journey. Our route finished in Budapest, and the final day’s cycling was an easy eight-mile tour of the city led by a local guide, with plenty of stops to admire the Hungarian capital’s points of interest. Frankly, though, this was less a ride and more of a victory lap for a group that had proudly made it to the end of an amazing adventure. We had begun our week under rainy skies as a group of people uncertain where we were going or whether we’d manage to get there. Now, as we reluctantly handed back our bikes in warm sunshine, we’d all got the message: a journey mixing bike and boat is the perfect way to see Europe in a new and adventurous way. 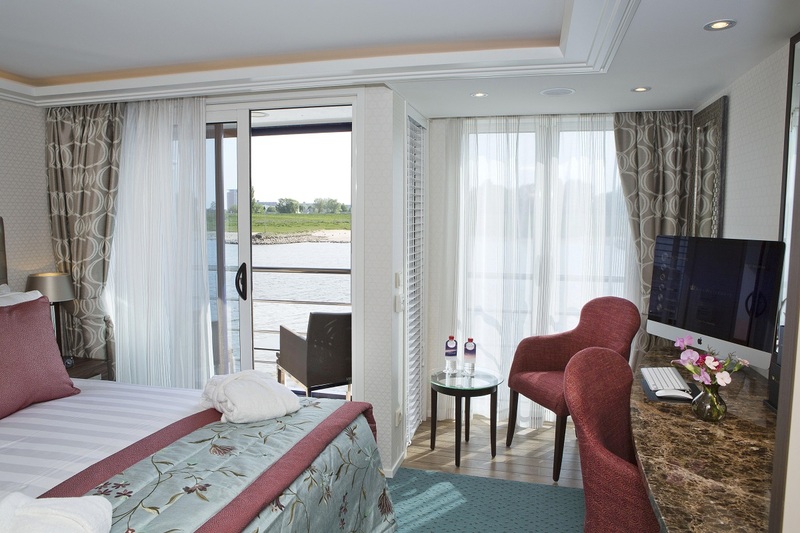 AmaWaterways offers Backroads trips on the Danube, Rhine, Douro (Spain) and Seine (France). Prices are between £4,500 and £6,300 per person (double occupancy), which includes all costs except gratuities. See amawaterways.co.uk or call 0800 320 2335.